Patrick Montaque aka ‘Captain Baker’ is a natural lover of music, not in a cliché sense but literally. His experience in the music entertainment industry spans over two decades, and such rich history is not easy to emulate but only to respect and admire. 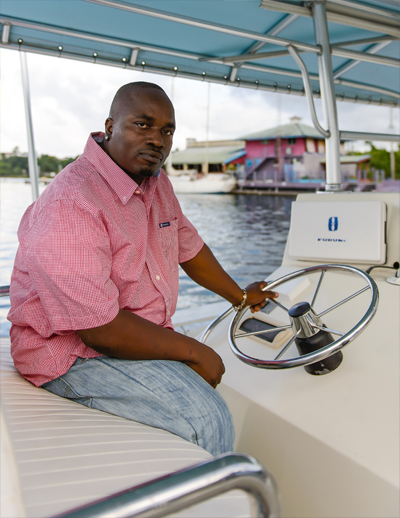 Once a sound system selector, and also a former worker of one of Jamaica’s largest and more prominent record distribution company, Captain Baker musical selection is uniquely presented in a manner that pleases the varied social makeup at any single event. Because of his versatility in hosting different types of events, Captain Baker has established himself as a valuable master of ceremony that is well sought after by event promoters. Currently, a seasoned personality on Stylz FM, the Captain claims to be realizing him lifelong dream of sharing his love and passion for music with the world.